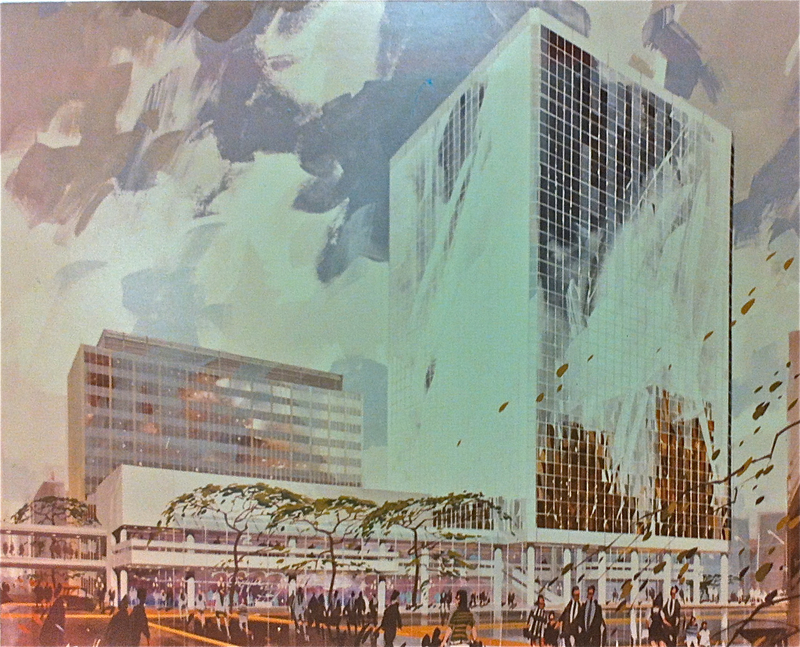 Designed by LM Architectural Group and Number Ten Architectural Group, 444 St. Mary Avenue was built between 1976 and 1977. 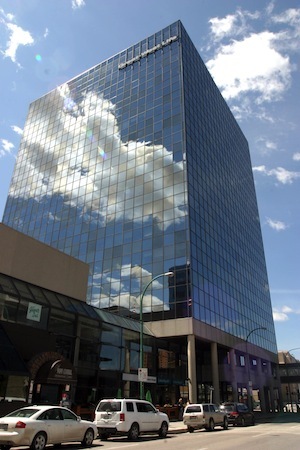 Originally called Rupertsland Square, the complex includes a seventeen storey office tower connected to a two storey building to the east and a six storey parkade along Kennedy Street. The title ‘square’ referred to all three structures, but was dropped from use soon after construction was complete. Constructed for use as the head office of Inter-City Gas Ltd., the company moved into the building during a period of rapid expansion. The company later amalgamated with other gas distributors to form a single Manitoba natural gas utility, Centra Gas, in 1991. 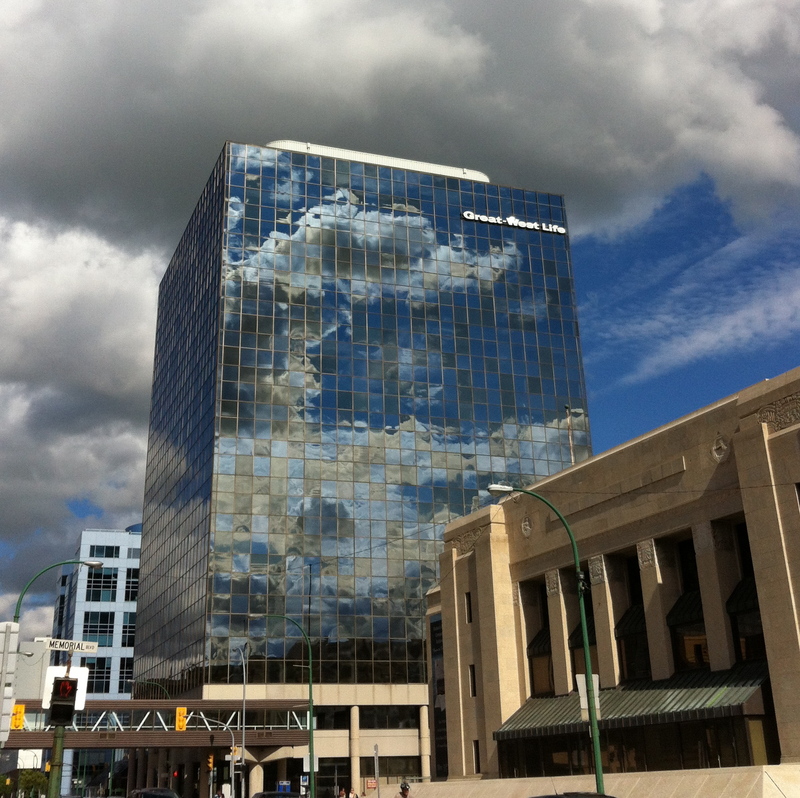 Centra Gas vacated the building following its purchase in 1999 by Manitoba Hydro, allowing a variety of other commercial and business tenants to occupy the mixed-use building. Business Life in Western Canada, July 1977 and June 1978. Winnipeg: Where the New West Begins, Windsor Publications Ltd., 1982, p. 228-229. Martin Cash, Winnipeg: A Prairie Portrait, Community Communications, 1998, p. 182-183.